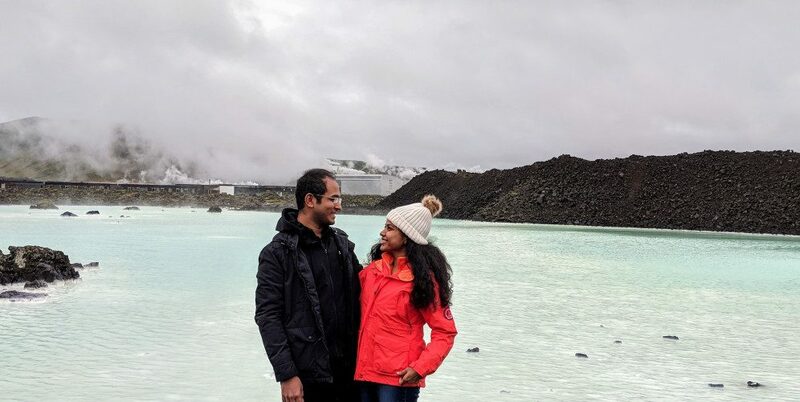 Home » Guest Writers » These are the top 5 reasons to visit Iceland, says Vijayalakshmi – Exotic pictures inside! 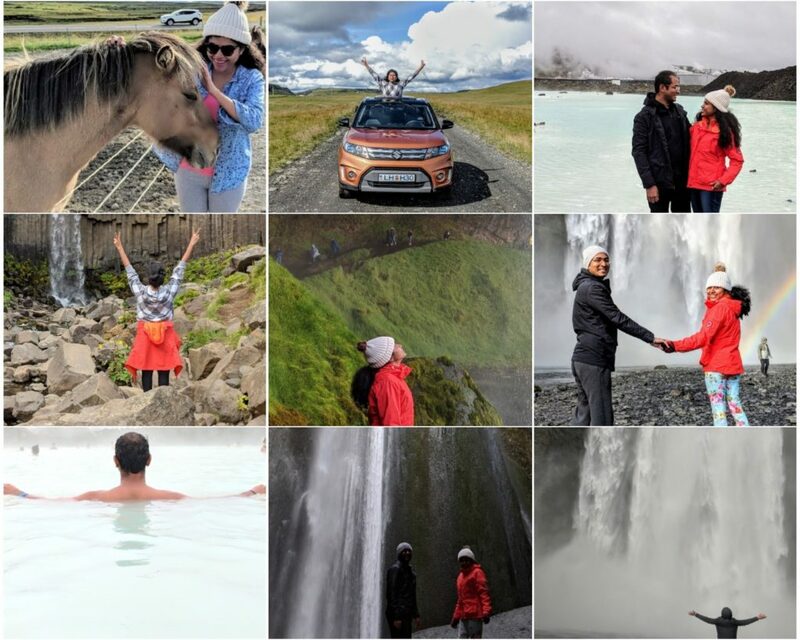 These are the top 5 reasons to visit Iceland, says Vijayalakshmi – Exotic pictures inside! If there is one destination which is totally unpredictable, it is Iceland. The changing vistas, the unstable weather, and the magical northern lights are a dream to many. But, it takes a lion-heart to brave the odds in Iceland. So did, Vijayalakshmi & Thiagarajan! Determinant, the wanderlust travellers braved the odds and the explored the destination to its fullest. 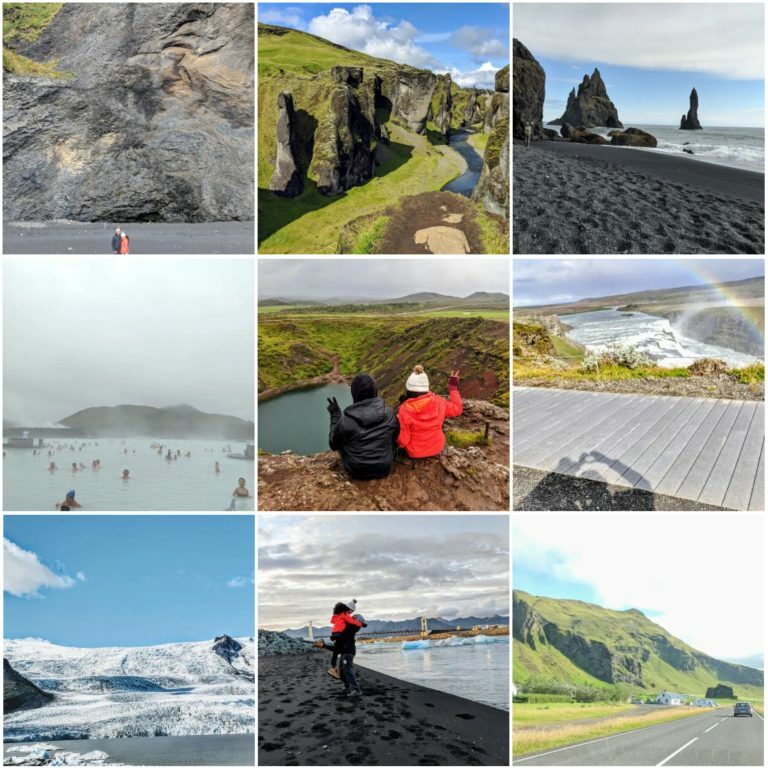 And, these are the top five reasons Vijayalakshmi says makes Iceland, Iceland. Iceland and changing sceneries go hand-in-hand but the pace in which it was changing amazed us. It was changing so fast that every time I looked up after checking for directions/changing the song, I was presented with a completely new scenery. And, instinctively I would turn back and awe at the scenery we just passed by. I had to convince myself that the scenery was real. It was that amazing! While Iceland has no forests, it more than makes up for it. Blanketed by miles and miles of lush-grass terrain and moss-covered lava rocks unwinding in the horizon front of you, Iceland is both soothing and surreal. Fun fact: Reykjavík, the capital of Iceland is the world’s northernmost capital city. We had limited expectations when it came to food. ‘An island nation floating by the Arctic, what can it possibly offer’ is what we thought. But, we were in for a pleasant surprise. A wonderland of seafood, Iceland burst open with flavours. Be it the simple lobster soup or the signature pan-fried Arctic char, every dish in Iceland is a treat to your taste buds and tummy. Take a look at the photos and you will understand it for yourself. In Iceland, there is no question of a guilty meal. Not even once! Unless you go insane and load yourselves with junk. While you can grab a packet of Cheetos from the grocery store, there aren’t any McDonald’s, which is a good thing. From the time I have spent, I realized that the Icelanders are super health conscious. One notable instance is when we were offered with oat milk/hemp seed milk for breakfast. Hot dogs in Iceland are a must try. You can easily get them at any gas station. And, while you are it do not forget to add the crispy onions. 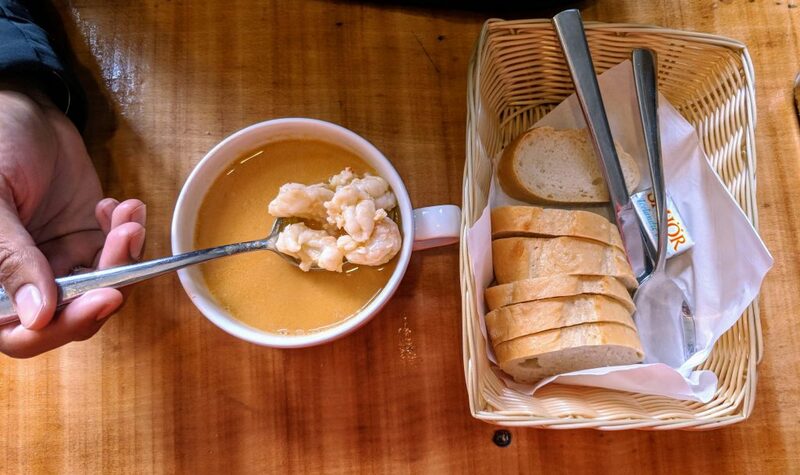 Next, to the hot dog, most places also offer sumptuous lamb or seafood soup. They are great to have after a long, adventurous summer day. Not a fan of any of these, then opt for the traditional Icelandic food. Like the slow roasted lamb (hangikjöt) we had. It was perfect with butter on dark rye bread and with sandwiches. We also snacked on hot cider and hot chocolates from time to time. When there is no food at your grabs, there is always the option to fill yourself with pure water from the glacier. Fun fact: We learnt from our Airbnb host that high-quality Arctic Char and natural spring water are exported to Europe and USA. While they used to have seafood at least 4 times a week when they were growing up, fifteen years back. Now, they can barely afford it once or twice a week. Blue Lagoon Island then used to be free to enter and everyone used to fill their bottles with spring water as they drove by. A downside of Globalization, maybe? Iceland is where we crossed out a lot of items from our bucket list. And that too in a very quick time. Being in 2 places at once, in our case – 2 continents. You can dive in the Þingvellir National Park connecting the North American and Eurasian tectonic plates. Soaking in the “Game of Thrones” vibe. Iceland is where you will recognize a lot of landscapes from the set. Do a little research and you will find professional tours. Pin it on the map before you hit the road. Fun fact: The Icelandic police don’t carry guns. Why you ask? Crime rate in Iceland is very low and violent crime is practically nonexistent. When you walk into Iceland, there is a feeling of walking into a different planet. In comparison to the places we have been, Iceland was definitely unique. It’s where the atmosphere is freezing cold but then the ground is boiling at 100 degrees (hot springs!). It will not be surprising if we stumble upon a dinosaur, few days into the trip 🐱‍🐉. Going on a road trip along the Icelandic landscapes is when your mind and soul connect to nature. Iceland is also strongly rooted in old traditions. An instance is, Vikings is still home to the oldest breed of horses. Take a look at the local sheep here and you will realize, they are in the ‘Nirvana’ mode. Keep staring and you will realize you are the odd one out. I can go on and on with the stories about (N)iceland but experiencing it, in reality, is a whole another thing. The pure water, fresh air, red pebbles, black sand, volcanic ashes, basalt columns and secret messages from the medieval people just elevate the overall experience. Fun fact: Vikings named Iceland to re-direct their enemies to Greenland which was actually “Ice”land. To be honest, it should be the other way around. As you now know the top five reasons to visit Iceland, plan your trip right away! Aadhya’s Thailand Diaries – The time I shopped till I dropped and called it a vacation!